As public schools continue to add technological devices inside their classrooms, students are now using laptops or tablets to do research papers, take tests and work together while in class. But in a school district often referred to as a model to the country, New Canaan students are finding that getting online is not an easy task, officials have said. Robert Miller, the district's director of information and communication technologies, said the strength of the schools' wireless network is insufficient to pass through every classroom wall, so depending on where students are sitting, they might find a very slow Internet connection or no connection at all. "Because the wireless access doesn't have the same penetration in all four corners of the room, one student in one corner of the classroom might have a really slow connection," Miller said. "In some cases, they'll have no connection, and in some cases a very fast connection." Given this problem, Miller's department is requesting $464,493 in the capital budget for the 2014-15 fiscal year so it can upgrade the wireless networks at Saxe Middle and New Canaan High schools. The project calls for one wireless access point per two or three classrooms, he said. "This plan should provide good access regardless of where you're sitting in the room," Miller said. New Canaan High School Principal Bryan Luizzi said the problems in the wireless infrastructure are a cause of distraction. "When things aren't working, it's much easier for students to become disengaged," Luizzi said. "Because the focus turns into what isn't working instead of the content. Focus shifts away from the content to the device." Luizzi also said some teachers who are experimenting with the wireless technology might be reluctant to try again once students have trouble getting online, especially because it takes a lot of class time. "Ultimately, we're using it to enhance learning, but if it's not working, we're not going to use it," he said. "It becomes so challenging that the teacher will become reluctant to spend as much energy on that in the future." The ICT Department is asking the town for $1,156,854 for capital projects for 2014-15. Besides the wireless access upgrades, the money would account for other equipment leases. The district's overall capital budget request for 2014-15 is nearly $5.5 million, and it includes the proposed budgets for facilities projects as well. The schools' operating budget request is $82,414,404, a 6.58 percent increase over the 2013-14 fiscal year. Miller said the upgrades also would benefit the wired infrastructure. The renovated wired infrastructure would last about 10 years, while the new wireless infrastructure would be good for about seven to eight years, he said. Miller said New Canaan High School students are encouraged to bring personal wireless devices to school and many of them already bring a laptop or an iPad to take notes. 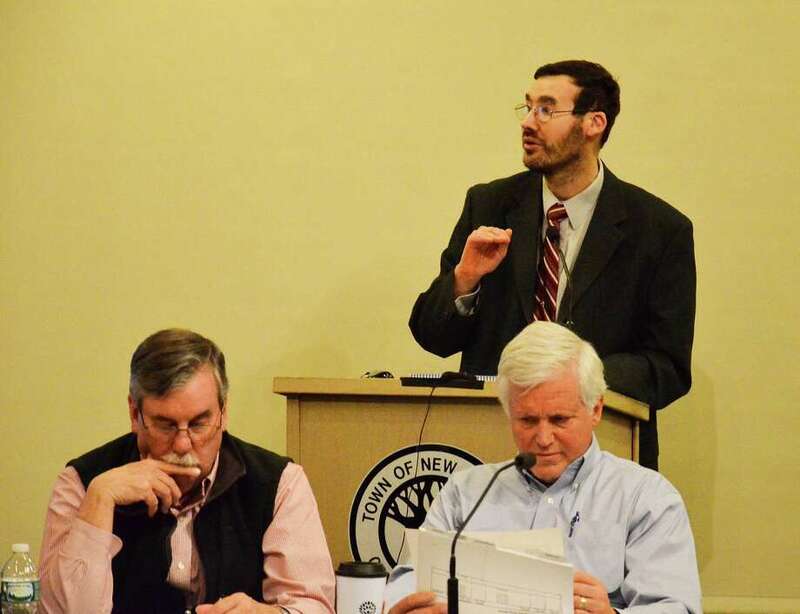 He also said the quality of the wireless connection at New Canaan schools is "a source of frustration" for students and teachers. "It's pretty evident students recognize that there's no consistent connection," he said. When multiple students and staff downloaded the new iPhone last year, the entire network crashed, according to budget documents presented by the district. In the first read of the budget proposal in early January, the district was requesting funds to install one wireless access point per classroom. Miller said the number changed based on an independent audit that showed one per two or three classrooms would be sufficient.